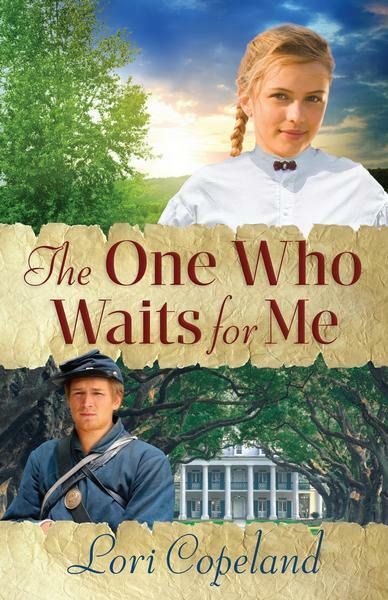 This new series from bestselling author Lori Copeland, set in North Carolina three months after the Civil War ends, illuminates the gift of hope even in chaos, as the lives of six engaging characters intersect and unfold with the possibility of faith, love, and God’s promise of a future. Beth gently shook Joanie’s shoulder again, and the young woman opened her eyes, confusion shining in their depths. The young woman slid out of bed, her bare feet touching the dirt-packed floor. Outside, the familiar sound of pond frogs nearly drowned out soft movements, though there was no need to be silent any more. Ma had preceded Pa in death two days ago. Beth and Joanie had been waiting, praying for the hour of Pa’s death to come swiftly. Together, they lifted their father’s silent form and gently carried him out the front door. He was a slight man, easy to carry. Beth’s heart broke as they took him to the shallow grave they had dug the day before. Ma’s fever had taken her swiftly. Pa had held on for as long as he could. Beth could still hear his voice in her ear: “Take care of your sister, little Beth.” He didn’t have to remind her that there was no protection at all now to save either of them from Uncle Walt and his son, Bear. Beth had known all of her life that one day she and Joanie would have to escape this place—a place of misery. It was her father’s stubborn act that started the situation Beth and Joanie were immersed in. Pa had hid the plantation deed from his brother and refused to tell him where it was. Their land had belonged to a Jornigan for two hundred years, but Walt claimed that because he was the older brother and allowed Pa to live on his land the deed belonged to him. Pa was a proud man and had no respect for his brother, though his family depended on Walt for a roof over their heads and food on their table. For meager wages they worked Walt’s fields, picked his cotton, and suffered his tyranny along with the other workers. Pa took the location of the hidden deed to his grave—almost. Walt probably figured Beth knew where it was because Pa always favored her. And she did, but she would die before she shared the location with her vile uncle. By the light of the waning moon the women made short work of placing the corpse in the grave and then filling the hole with dirt. Finished, they stood back and Joanie bowed her head in prayer. “Dear Father, thank You for taking Ma and Pa away from this world. I know they’re with You now, and I promise we won’t cry.” Hot tears streaming down both women’s cheeks belied her words. Returning to the shanty, Joanie removed her nightshirt and put on boy’s clothes. Dressed in similar denim trousers and a dark shirt, Beth turned and picked up the oil lamp and poured the liquid carefully around the one-room shanty. Yesterday she had packed Ma’s best dishes and quilts and dragged them to the root cellar. It was useless effort. She would never be back here, but she couldn’t bear the thought of fire consuming Ma’s few pretty things. She glanced over her shoulder when the stench of fuel heightened Joanie’s cough. The struggle to breathe had been a constant companion since her younger sister’s birth. Many nights Beth lay tense and fearful, certain that come light Joanie would be gone. Now that Ma and Pa were dead, Joanie was the one thing left on this earth that held meaning for Beth. She put down the lamp on the table. Walking over to Joanie, she buttoned the last button on her sister’s shirt and tugged her hat brim lower. Beth tried to recall one single time in her life when Walt Jornigan had ever shown an ounce of mercy to anyone. Certainly not to his wife when she was alive. Certainly not to Beth or Joanie. If Joanie was right and there was a God, what would Walt say when he faced Him? She shook the thought aside. She had no compassion for the man or reverence for the God her sister believed in and worshipped. “Yes.” She picked up her Bible from the little table beside the rocking chair and then followed Beth outside the shanty, her breath coming in ragged gasps. Pausing, Joanie bent and succumbed to a coughing spasm. Beth helplessly waited, hoping her sister could make the anticipated trip through the cotton fields. The women had planned for days now to escape if Ma and Pa both passed. Beth wasn’t certain that they could wait long; time was short. Dawn would be breaking soon, and then Walt would discover that Pa had died and the sisters were missing. But they had to leave. Joanie’s asthma was getting worse. Each gasping breath left her drained and hopeless, and Walt refused to let her see a doctor. When Joanie had mentioned the notice in a discarded Savannah newspaper advertising a piece of land, Beth knew she had to buy the property and provide a home for Joanie. Pa had allowed her and Joanie to keep the wage Uncle Walt paid monthly. Over the years they had saved enough to survive, and the owner was practically giving the small acreage away. They wouldn’t be able to build a permanent structure on their land until she found work, but she and Joanie would own their own place where no one could control them. Beth planned to eventually buy a cow and a few setting hens. At first they could live in a tent—Beth’s eyes roamed the small shanty. It would be better than how they lived now. She glanced at Joanie. The young woman nodded and clutched her Bible to her chest. Beth had found it in one of the cotton picker’s beds after he had moved on and given it to Joanie. Her sister had kept the Bible hidden from sight for fear that Walt would spot it on one of his weekly visits. Beth had known, as Joanie had, that if their uncle had found it he’d have had extra reason to hand out his daily lashing. Joanie kept the deed to their new land between its pages. After pitching the lighted match into the cabin, Beth quickly closed the heavy door. Stepping to the window, she watched the puddles of kerosene ignite one by one. In just minutes flames were licking the walls and gobbling up the dry tinder. A peculiar sense of relief came over her when she saw tendrils of fire racing through the room, latching onto the front curtain and encompassing the bed. Beth didn’t answer. She didn’t know whether Ma and Pa were in a good place or not. She didn’t know anything about such things. She just knew they had to run. The two women dressed in men’s clothing struck off across the cotton fields carrying everything they owned in a small bag. It wasn’t much. A dress for each, clean underclothes, and their nightshirts. Beth had a hairbrush one of the pickers had left behind. She’d kept the treasure well hidden so Walt wouldn’t see it. He’d have taken it from her. He didn’t hold with primping—said combing tangles from one’s hair was a vain act. Finger-picking river-washed hair was all a woman needed. Fire now raced inside the cabin. By the time Uncle Walt noticed the smoke from the plantation house across the fields, the two sisters would be long gone. No longer would they be under the tyrannical thumb of Walt or Bear Jornigan. Beth sniffed the night air, thinking she could smell the precious state. Never again would she or Joanie answer to any man. She would run hard and far and find help for Joanie so that she could finally breathe free. In her pocket she fingered the remaining bills she’d taken from the fruit jar in the cabinet. It was all the ready cash Pa and Ma had. They wouldn’t be needing money where they were. Suddenly there was a sound of a large explosion. Heavy black smoke blanketed the night air. Then another blast. Kerosene! She’d forgotten the small barrel sitting just outside the back porch. It was the last sound Beth heard. I love Lori Copeland books! She is an excellent author that writes such wonderful stories with great characters. This book didn't disappoint! Loved it! Great summer read!